Wizard World Comic Con Pre-Party! 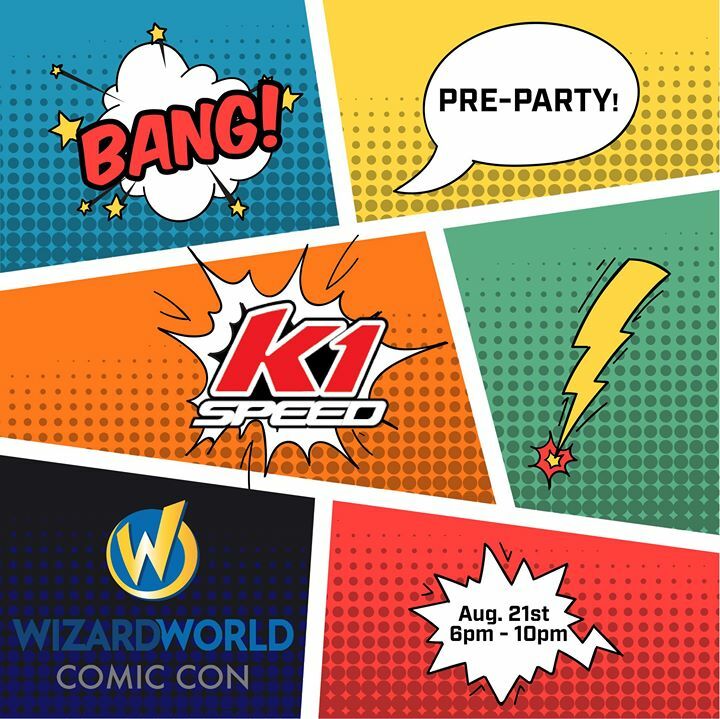 WIZARD WORLD is coming to Chicago August 24-27th, and to kick things off we are doing a PRE-PARTY event at our K1 Speed Addison Center!! 2381 E. Army Trail Rd. Special guests,WizardCon ticket giveaways and prizes for the best costumes, and more!! Come race with us and lets have some fun! !